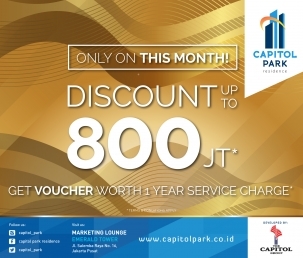 Dear value customer, thank for your trust in our property. 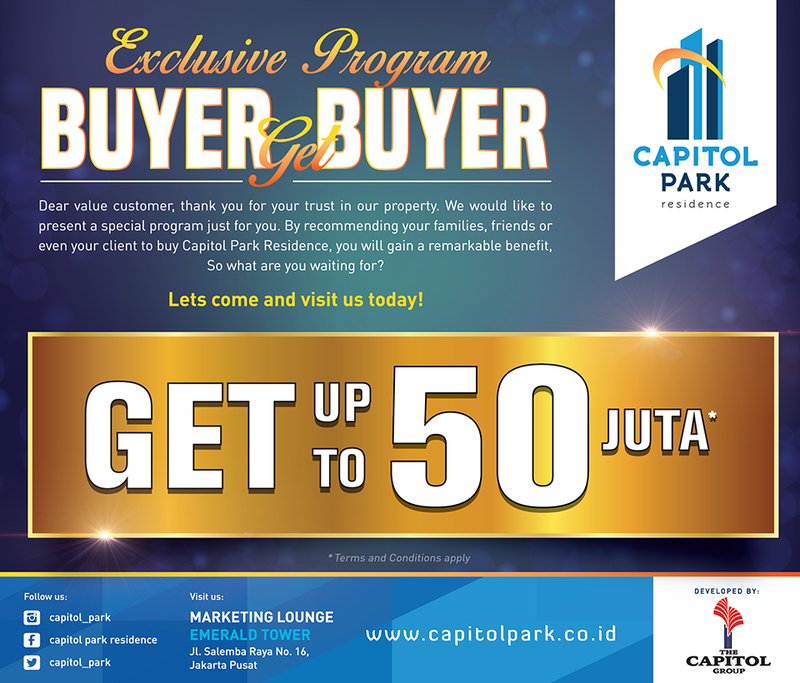 We would like to present a special program just for you. 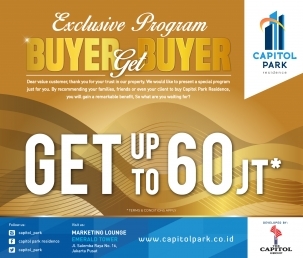 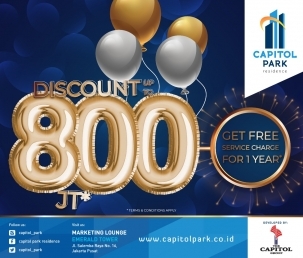 By recommending your families, friends or even your client to buy Capitol Park Residence, apartemen di Salemba. 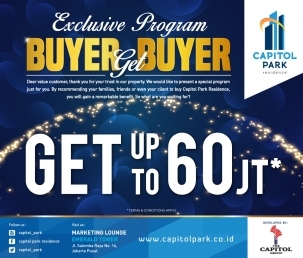 You will gain a remarkable benefit, So what are you waiting for?